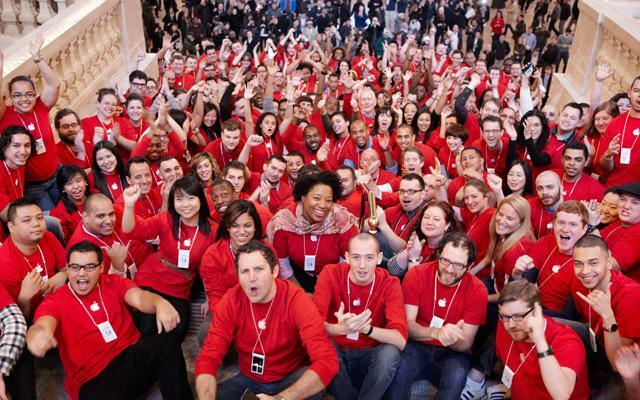 A number of alleged first-hand reports from Apple Store employees point to significant layoffs of recently-hired retail staff, while part-time employees are seeing shorter working hours. Apple Store employees reached out to MacRumors over the past weeks, saying recent hires are being laid off in the U.K. and a select number of locations around the world. Adding to the layoffs are reports coming out of the U.S. and Canada that part time staff are seeing long-term cutbacks in hours. One report from a store in the U.K. claims that all employees with less than six months of experience have been laid off, including a handful of staff who just finished training. New hires and store transfers have also been put on hold, while a source at a different U.K. store said three training groups were laid off this past week. A report from an unnamed Apple Store noted a similar situation where a batch of new hires had just been laid off, adding that a number of recently-promoted veteran employees had been bumped back down to their original positions without ever receiving the promised pay increases. While the widespread layoffs have yet to be reported in North American Apple Stores, part-time employees in the U.S. and Canada are facing drastic cuts to working time, with some seeing draw downs to zero hours. In a move seemingly intended to shift hours away from part-time staff, one location has purportedly cut several hundred part-time hours per week and is now limiting vacation time for full-time employees. Apple's handling of its retail store staff was recently profiled in a New York Times piece in June, which noted employees have "enjoyed little" of the company's great financial success. It was also reported in June that some Apple Store employees would be getting up to a 25 percent wages increase after an internal review found staff to be frustrated with their current pay.